In the midst of a late winter slush storm (for the second year in a row) REVIEW Magazine presented its 33rd Annual Music Awards Celebration at Lumber Baron's Genevieve Ballroom in Bay City the evening of April 14th and honored 61 artists who’ve enriched the cultural climate throughout the Great Lakes Bay Region with remarkably impressive talent. With an unprecedented total of 10,650 votes cast by the general public between January & March of this year (last year’s previous record was 7,638) and a total 904 artists nominated from the region, the top five nominees in each division moved to a final round of voting and the winners were honored at this special annual celebration. Despite the inclement weather, a total of 225 nominees and attendees showed up to experience this annual gathering that brings the musical community and general public together in this annual celebration honoring the remarkable musical resources of the Mid-Michigan area, proving that wild horses (and icy roads) couldn’t drive them away. With an evening full of unexpected surprises and standout guest performances, big winners of the evening in their respective genres included rapper Mike Spitz (Spitzer) who walked away with 4 four trophies in the Hip-Hop/Rap division for Best Video, Artist of the Year, Songwriter & Favorite Performer; Country rockers Kin Faux, who took honors for Country Songwriter & Instrumentalist (Rico Gonzalez), Best CD Release and Best Country Band; Rhett Yocum who earned Best Blues Instrumentalist and Best Blue Band honors; Monique Ella Rose, who gleaned three trophies for Best Female Jazz Vocalist, Best Female Blues Vocalist and Best Jazz Songwriter; with the Rock honors going to Sprout & the Orange, who won Best Alternative Band, Most Innovative Artist (Aaron Johnson); The Rock Show (Best Variety Band); Barbarossa Brothers (Best Original Band, Best Keyboardist (Loren Kranz), and newcomers For Tomorrow, who picked up trophies for Best Metal Band, Best Rock Bassist (Chris Haller), and Rest for the Wicked who won Best Rock Band. And now, without further ado, here is a breakdown of the winners in all categories ranging from Jazz, Blues, Country, Rock, and numerous Miscellaneous categories. 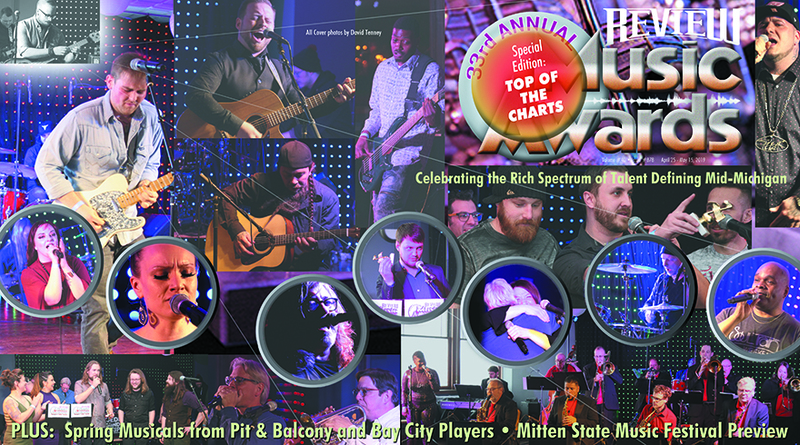 Complete coverage on the evening’s festivities, interviews with top honorees, assessments of the evening’s musical performances, and tons of great photos will appear in Review Magazine’s upcoming 33rd Annual Music Awards Special Edition, which will hit newsstands and be published online in our April 25th edition.